A Woman in China stopped before boarding her plane to make a ‘blessing’, and threw a handful of coins into the jet turbine. 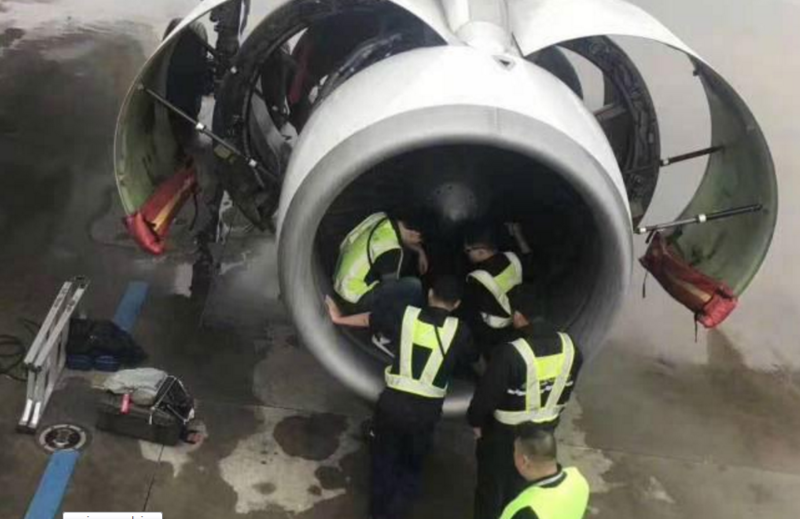 Fellow passengers saw this and alerted flight staff, who called out technicians to inspect the engine. The plane was evacuated while it was inspected, and ended up delayed for 5 hours. During the technicians’ detailed inspection, one of the nine coins was found to have made it into the engine, and was removed. Crew expressed concerns about the damage this may have caused if gone unnoticed, potentially causing a disaster.